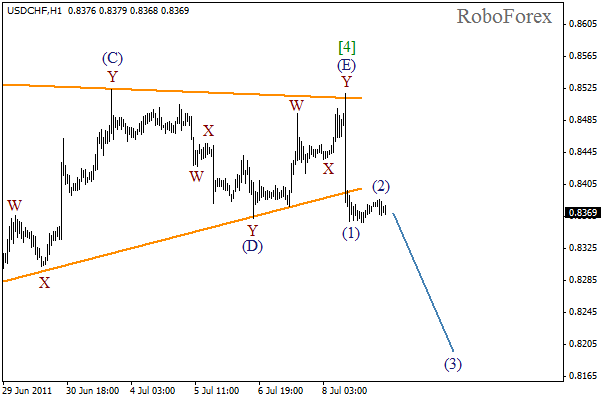 After rebounding from the horizontal triangle’s upper border, the price has left the pattern. We may suppose that wave  of 3started to form. The forecast still remains in effect, the price may continue to fall during the week. 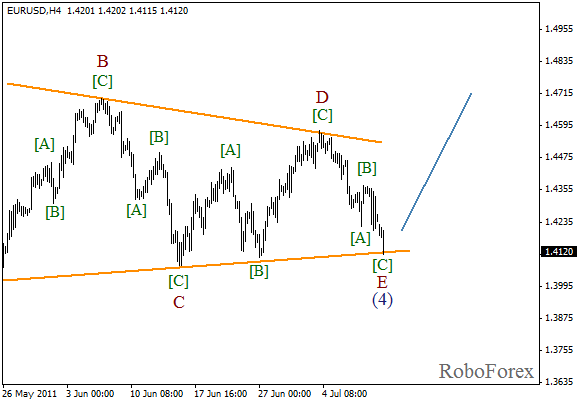 After breaking the triangle’s lower border, the market has formed an impulse inside wave (1). At the moment we can see a local correction. There is a possibility that wave (2) may finish within few hours and we can expect the start of the “rally phase” of Wave . 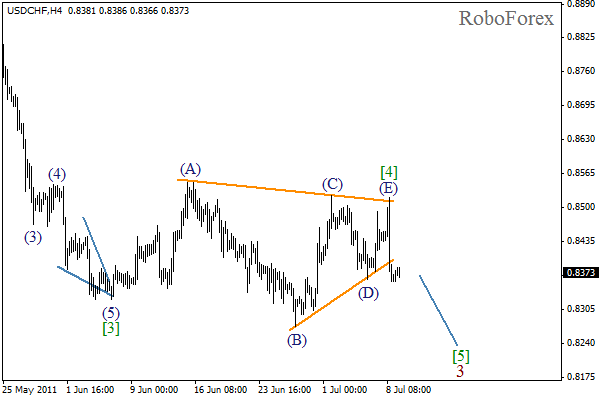 We may assume that wave [E] is about to finish in the form of zigzag pattern. The price has reached the lower border of horizontal triangle. 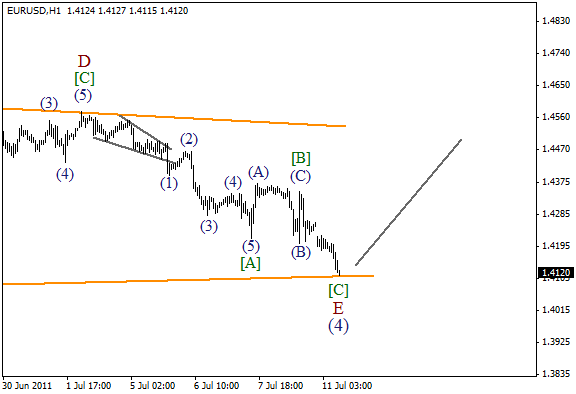 The price rebounding from this level will be a signal for the beginning of wave (5). The forecast is still bullish. Judging by the internal structure of wave E, zigzag pattern in this wave is about to finish. It’s too risky to enter the market right now, it’s better to wait for the price to form an impulse and try to buy the pair while the impulse is being corrected.